Shiatsu (pronounced she-at-soo) is a traditional hands-on powerful Japanese therapeutic healing treatment that works on a very subtle and deep level. It is a uniquely nurturing and deeply relaxing oil-free form of massage.Shiatsu literally means finger pressure and as such describes part of the therapy whereby the practitioners natural body weight from fingers, thumbs, palms, elbows, forearms, feet and knees is used in applying firm pressure to special acupressure points and meridian lines on the body. By the simple application of pressure, Shiatsu changes the movement of blood and energy through the body to strengthen the immune system and trigger self-healing. This is combined with stretches, joint mobilisation and muscle releases to give an all-over treatment, which aims at treating the client on a holistic level.The practitioners aim is to rebalance the flow of life energy or Qi, which circulates around the body through meridians or channels. These channels connect to and influence our major organs. Good health is reliant upon a harmonious flow of Qi through the meridians and internal organs. If the circulation and flow of Qi or energy within the body becomes blocked, this can lead to areas of pain and discomfort, which can also affect the function of bodily systems and various illnesses and dis-ease can manifest.The surface touch uses points on the surface known as Tsubo to access those meridians. The practitioner feels for excessive (Jitsu) or deficient (Kyo) energy or Qi within the meridians as they control the movement in the body of blood, and bodily fluids.Shiatsu incorporates pressure, holding, rubbing, heating or stretching techniques which can be deep and firm, but which are applied with sensitivity. Shiatsu is a deeply relaxing experience and regular Shiatsu sessions help to prevent the build-up of stress and anxiety. Shiatsu massage is a whole body therapy that is used to restore and maintain health, wellbeing and the body’s natural balance. It is non-invasive and may help to relieve physical pain, emotional and mental stress. Shiatsu has both preventative and remedial effects. Shiatsu can assist with acute to the more chronic and from the more physical to the more emotional. Clients may come presenting with more structural aches such as neck, shoulder and back pain, menstrual issues, skin disorders, digestive imbalances, migraines or with the more psychological such as depression, relationship difficulties, anxiety or emotional stress. A shiatsu treatment works to support your body and may be stimulating and invigorating or calming and sedative depending on the goal for the treatment. It is normal to feel refreshed, energised and relaxed after a session. What can Shiatsu assist with? Shiatsu is beneficial, suitable and safe for babies, children, women (including pregnant women and breastfeeding mum’s) and men of all ages. What can I expect in a Shiatsu Therapy session? The Shiatsu Therapy massage treatment session begins with a conversation to determine your general state of health and discussing your bodies pain or discomfort, medical history, stress or relevant emotional issues, so that the treatment can be tailored to your body’s individual needs. Patterns of imbalance are identified through pulses, tongue, face, hara (diagnosis to monitor the flow of Qi (energy) through the internal organs and their meridians) and posture. It is important to assess the “state of the Qi” in order for the practitioner to give the client the most effective therapeutic session. A hands on treatment is conducted with you fully clothed lying on a cotton futon mattress on the floor. Bolsters and cushions are used for extra support and comfort. You remain fully clothed. It is recommended to wear loose fitting comfortable clothing that will be flexible to movement and stretches, such as a tracksuit. The practitioner may use a cloth or sheet to cover exposed skin. It is suggested to avoid eating a heavy meal before the session and to be fully hydrated before and after the session. Using pressure and stretching the practitioner will work on releasing tense, stagnant areas and build up weak, empty areas of the body. In the case where the client’s energy is low or deficient, the practitioner uses specific techniques to enhance and vitalize the Qi. When the client is over-stressed, wound-up, or anxious, the practitioner employs techniques to disperse the “excess” energy. In this way, the Qi is regulated. Shiatsu works to alleviate conditions, restore balance, and promote health and wellbeing on all levels. By keeping the circulation moving and making sure blood vessels are able to effectively deliver the necessary nutrients and drain waste products through the entire system, Shiatsu maintains the body, strengthens the immune system and enables self-healing to occur. Manual massage techniques – firm or light pressure applied using the fingers, palms, forearms, elbows, knees and feet. Pressure, holding, rubbing, heating or stretching techniques which can be deep and firm, but which are applied with sensitivity. A session lasts an hour. Home reinforcement exercises, stretches and other activities may be suggested post the session to support the treatment. How often would I need a Shiatsu? A regular maintenance program of Shiatsu is an excellent way to maintain wellness and improve vitality. The whole process is very individual and is tailored to each person’s needs. Most people begin coming at 2 or 3 week intervals to maintain balance. They may then decide to come monthly, or as they need to, which may only be every 6-8 weeks. Others with a stressful job, family demands, overactive lifestyle, body aches and pains, severe depression or other acute conditions or lifestyle factors, may require sessions on a more regular basis and it may be recommended to come weekly until they begin to feel better. Private Health Fund Rebates are available, please check with your Health Fund Provider. Shiatsu treatments are by appointment only. Shiatsu treatments are conducted out of the Shiatsu Therapy clinic room at By The Bay Kinesiology clinic in Chelsea, Melbourne, Victoria. 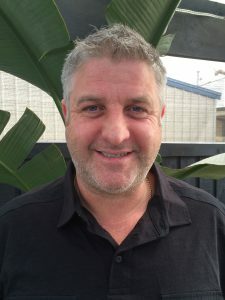 To book an appointment time with Brett Bannon please click on the button below to be directed to our online ‘Appointment Booking Request Form’ or alternatively contact him on 0407 365 474.